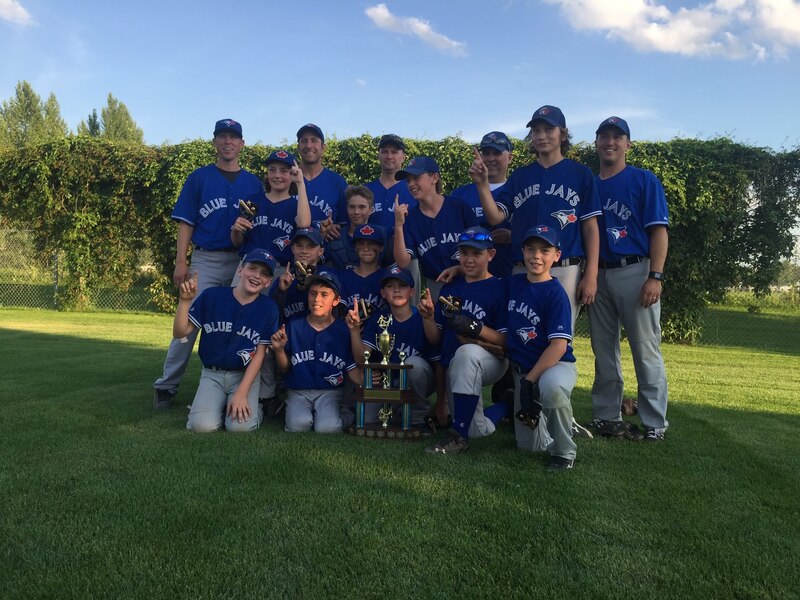 Congrats to the Blue Jay Sluggers, coached by Kevin McNarland winning the City AA ball championship 4-2 in a very exciting game over the Blue Jay Extreme coached by Stan Friesen on Tuesday July 14th at Hughes Park. Hats off to both teams for an excellent regular season and playoff run; great job players, coaches, manager and parents on a very exciting finish to the city playoffs. Thanks to our head coaches Kevin McNarland & Stan Friesen, their assistant coaches, managers and all volunteers for their efforts for making it a very successful season.